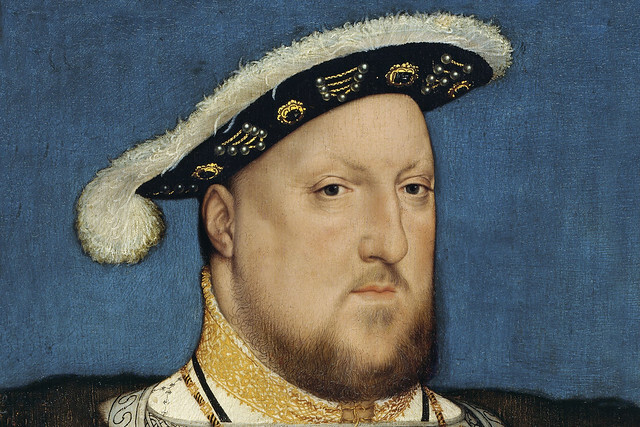 There’s no doubting Anne Boleyn’s historical significance – it was because of her that Henry VIII broke with the Catholic Church. But there’s less of a consensus on her character: historians and novelists have depicted her either as arrogant and ruthlessly ambitious or intelligent and charismatic. Donizetti portrayed his Anna as the innocent victim of lustful men, and her imprisonment inspired him to compose one of his greatest mad scenes. By contrast, he depicts Enrico (Henry) as a cruel, lustful villain. In his operatic masterpiece, Offenbach blends fantastic tales by E.T.A. Hoffmann with aspects of the writer’s life. The opera makes magnificent entertainment, but by transforming Hoffmann into the hero of his fictions he creates a character very different from the original. The real Hoffmann certainly enjoyed a drink (wine rather than beer was his preferred tipple) but rarely let it incapacitate him. Nor did he suffer multiple unhappy romances: he appears to have had few love affairs and after marrying in his twenties remained devoted to his wife Mischa. Verdi follows his dramatic source, Schiller’s Don Carlos, in making Philip II a tyrannical father and ruler and his son Carlos a passionate idealist. In reality, Carlos was an unstable and violent young man, and his father was no tyrant: despite his religious austerity and some brutal political decisions, Philip was a cultured man, an excellent husband (to his last two wives, at least) and a generous patron of the arts. Verdi’s Philip sings an achingly beautiful aria expressing his sadness at his loveless marriage, but in fact Philip II and Elizabeth of Valois were devoted to each other. For his great opera, Musorgsky drew on Pushkin’s play Boris Godunov, which in turn owed much to Nikolai Karamzin’s History of the Russian State. Both Pushkin and Karamzin gave credence to the myth (supported by the ruling Romanov family) that Boris had Ivan the Terrible’s son Dmitry murdered; in fact, there is no evidence to link Boris to this crime. The historical Godunov was no tortured soul but an enlightened Tsar, who established good international relationships, and brought about educational and social reforms. He was also a successful military campaigner, and but for his sudden death would likely have defeated the rebellion led by the False Dmitry. Roger II was one of the greatest kings of his age. He was a successful military campaigner, and his reforms in law and administration brought prosperity to Sicily. He was tolerant in religion and intellectual matters, and his court became a magnet for distinguished men. Szymanowski maintains Roger’s tolerance and intellectual curiosity but the story of Roger’s encounter with a mysterious pagan Shepherd is fictional, as is Szymanowski’s account of Roger’s troubled marriage. The real Roger was married three times (never to a woman called Roxana), had several mistresses and at least fifteen children. Read about some other operas influenced by historical characters.